The other day I tried taking pictures of my 8 month old. I made some props and visioned how beautiful this little photo shoot would be. I was wrong! This little girl is into everything and it was nearly impossible to get her to sit still. Or better yet to keep her tongue in her mouth. She kept it out almost the entire time. It was hilarious. I really miss my little baby but seeing her blossom into this wonderful little girl that she's becoming is something I wouldn't trade for anything. yes, that's a shoe she's holding. but let's pretend it's something pretty and sparkly instead. None the less, these pictures are beautiful and I adore your whimsical sense of photography. You are a great photographer. Sandra, I think your little girl is absolutely adorable! Love the props and the outfit, so cute but not as cute as her!! Kids are so hard to take photos of because they are constantly on the move. You captured quite a few precious moments here! Thank you so much for linking up to last week's Aloha Friday Blog Hop!! I'm following you. these pics are siiiiiiick. good work mama!<3 love, love, love them! oh my goodness! That crown! 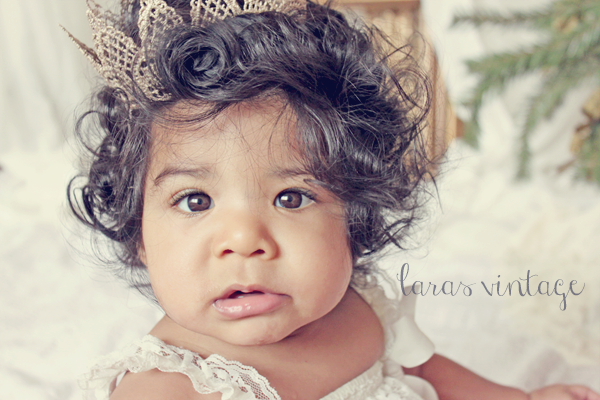 Lara, she is just too precious! Thank you for linking up to the Thumping Thursdays blog hop. The third photo down (with the tongue out)is the cutest of them all to me! BEAUTIFUL background! LOVE! And ALL the pics are perfect! These may just be the cutest pictures ever!!! Oh my, how precious! 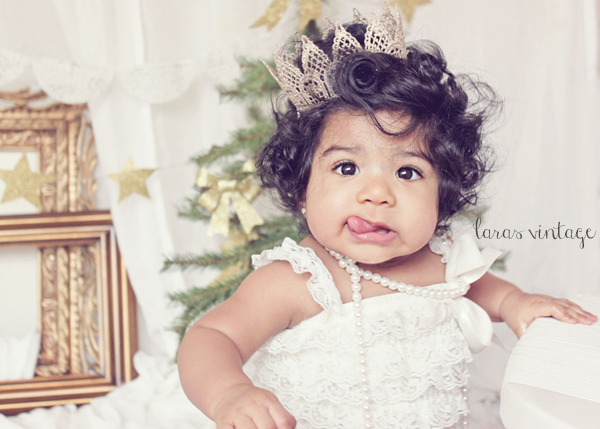 Your daughter is such a doll :) I remember when my son was 8 months old and we went to take pictures with a photographer and that was the day he discovered his tongue so it was constantly sticking out....so cute! Anyway, thanks for visiting my blog and following along. I am now following you as well. um she is gorgeous - LOVE these pictures! found your cute blog through the hop and excited to be your newest follower! Found you on GFC Collective Link Up. Wow, what a beautiful photo idea! These are gorgeous. 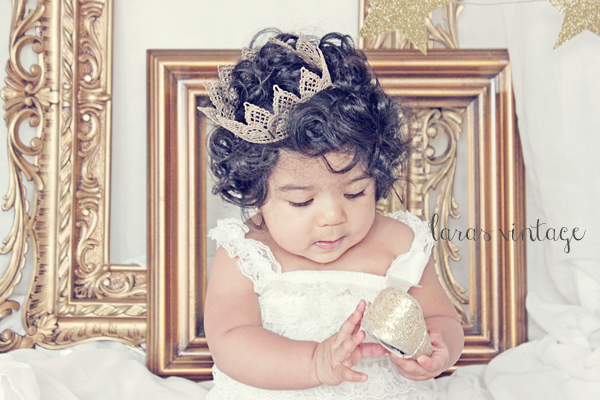 I love, love, love her little crown! It sits on her head so perfectly. 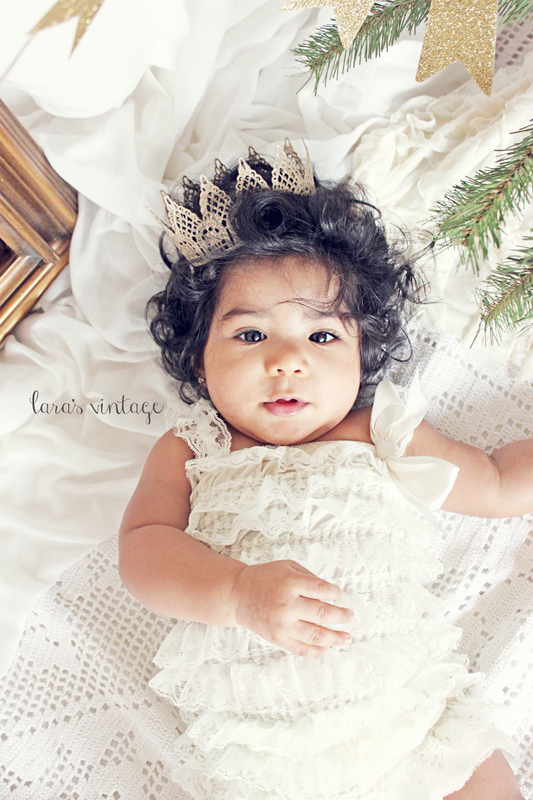 These photos are darling! !